Tall spikes of satiny, clear blue petals with a dark blue centre held above deep green foliage with a low mounding habit. Summer flowering. Attracts bees an butterflies. Frost tolerant. 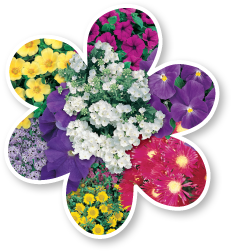 Great for borders, pots, gardens, mass planting and cut flowers. Height to 180cm and width to 60cm. Cut back after flowering. CAUTION: Harmful if eaten.